Below you can view all the homes for sale in the Beazer Souther Highlands subdivision located in Las Vegas Nevada. Listings in Beazer Souther Highlands are updated daily from data we receive from the Las Vegas multiple listing service. To learn more about any of these homes or to receive custom notifications when a new property is listed for sale in Beazer Souther Highlands, give us a call at 702-323-5933. *single Story Home In Southern Highlands*open Floor Plan*fresh Interior & Exterior Paint*vltd Clngs W/ Fans*new Wood Laminate Floors*natural Lighting*2 Fireplaces*lrg Kitchen W/ Granite Cntrs, Breakfast Bar, Island, Ss Appliances & Dbl Sinks*lrg Bedrooms*patio Access From Mstr Suite*grdn Tub, Mrrd Walk-in Closet Drs, & Dbl Sinks In Mstr In Bathroom*pvrs In Back*casita/Guest Qrts W/ 1 Bed & 1 Bath*courtyard*low Maintenance Landscaping*2 Car Grg* MLS#2086796. Keller Williams Market Place. Yep it's a Fixer! Short Sale and facing foreclosure. MLS#2086806. 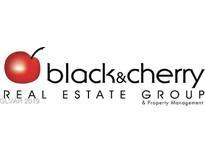 Black & Cherry Real Estate. Modern Kitchen With Granite Counters, Stainless Steel Appliances, Ovens & Burners, & Granite Top Island W/Breakfast Bar. MLS#2082690. BluePrint Realty LLC. This is an amazing home for the entertainer at heart! Call Patty to view MLS#2079115. Shelter Realty, Inc.
Shopping, park and school are nearby. MLS#2074950. Landmark Realty. Breathtaking mountain views from the rear balcony. Dont miss this gem. MLS#2063293. Keller Williams Market Place I.